Sandra Sallovitz is the Principal Director of Destinos Enterprises, a destination marketing and management company, and general sales agent. Ms. Sallovitz’s business development, event planning and tourism marketing background supports her in her endeavors to expertly arrange Canadian and Latin American corporate travel for individuals and groups. She currently provides her clients with the latest developments on their travel plans, presents educational travel to agencies and tour operator consultants, and creates destination marketing plans for airlines, land and fluvial transportation, hotels, language educational institutions, tourism boards and travel institute of promotions. Ms. Sallovitz shines as a luminary in her field, having garnered a reputation among those with whom she has worked as an excellent business developer. When presented with a business idea, she can come up with a plan for implementation. She also possesses an in-depth knowledge of the Latin American travel market and is highly skilled at presenting Canadian travel and tourism to the travel agents in the Latin market, and vice versa. 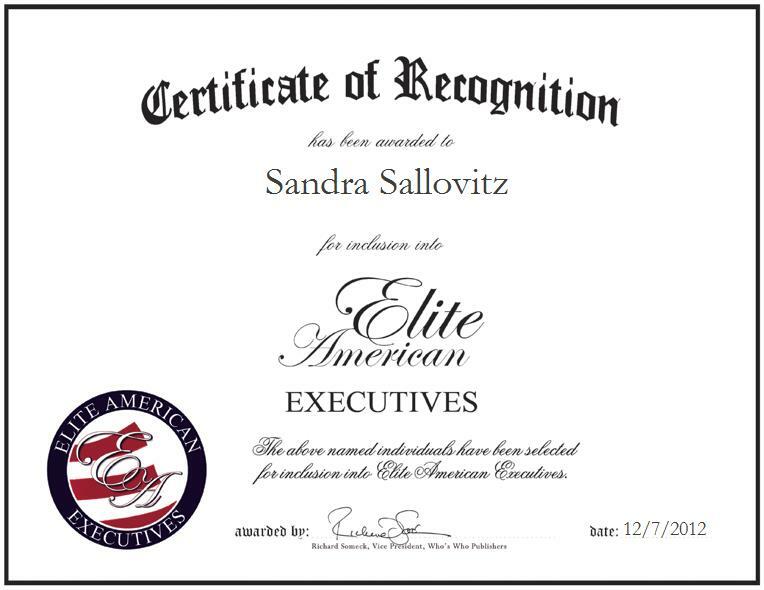 Sandra Sallovitz was originally selected for inclusion in EliteAMERICAN Executives in December 2012. We are proud to be featuring Ms. Sallovitz again in EliteAMERICAN Executives for 2013/2014.